Looking for a high-octane, fun-fuelled job? Do you have a spirit of adventure? Can you create 'WOW' moments? Tick these boxes? Look no further! If you love fast cars and the great outdoors, this is the job for you. You could join the Motor Circuit Operations team, led by Gabriel, and work on the world's only original classic race track as an Operations Steward. 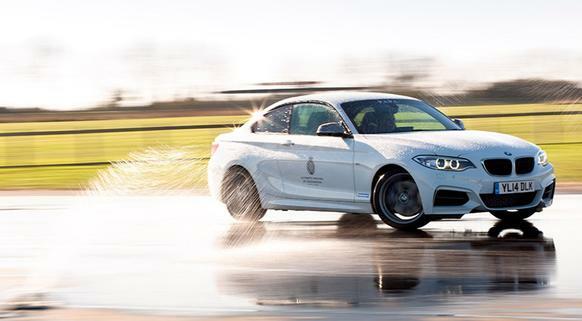 From ultimate driving experiences, to the exhilarating track days - no two days will be the same! You'll assist in the efficient running of the motor circuit by delivering a safe environment for staff and customers. Naturally, you will deliver exceptional customer service and create unique experiences, ensuring customers expectations are exceeded. You'll also have the opportunity to assume overall responsibility when rostered as "Duty Track Steward," for general conduct and control of events at circuit operation level. This role is offered on a zero hours contract. You'll be flexible to work weekends and bank holidays to meet the needs of the business. In 1948, the Motor Circuit was officially opened by Freddie March, the 9th Duke, renowned amateur racer. This same venue has since witnessed some of motor sports greatest heroes in action, including Sir Jackie Stewart and Sir Stirling Moss. Today, the circuit combines all the nostalgia of the golden era of motor sport but ready for the 21st century.